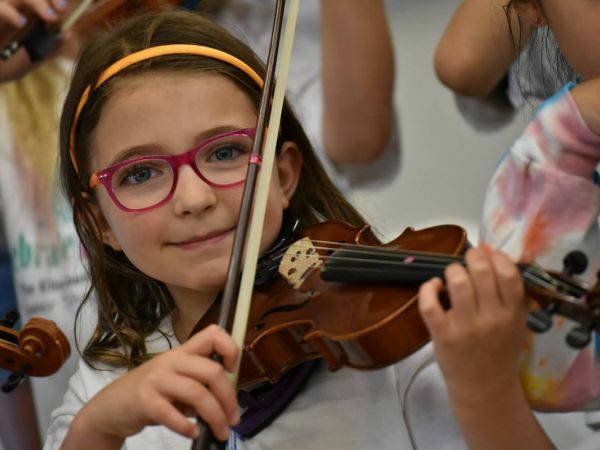 Elisabeth Morrow School will provide kids with free lessons for string instruments at the Port Imperial Ferry Terminal on Feb. 10. An announcement was made by the township that all public waterfront fields will be closed for a resurfacing project, expected to be completed by March 1. Hackensack Riverkeeper, the citizen-steward of the Hackensack River watershed, is pleased to announce it is accepting applications for the 2019 Ron Vellekamp Environmental Scholarship. The program is named in honor of the late Ridgefield science teacher and founding Riverkeeper trustee, and helps support college-bound high school seniors who excel academically and who have a strong commitment environmental protection. Seniors at 66 high schools in Bergen, Hudson, and Rockland counties are eligible to be nominated by a teacher or guidance counselor for the award. Applications must be postmarked no later than Earth Day, April 22, 2019. A panel of Hackensack Riverkeeper trustees and staffers led by Captains Bill Sheehan and Hugh Carola will review each application and consider the students’ academic achievements, environmental extracurricular activities, and future plans. The winner of the $1,000 unrestricted award will be announced by June 1, 2019. Additional information and full application criteria are available at www.hackensackriverkeeper.org by emailing Carola at Hugh@hackensackriverkeeper.org; or calling him at 201-968-0808 x102.